Get all the sun you can! Marian and I headed out for a ride on the North Fork hoping to enjoy a sunny picnic and some wine. We got our wish. 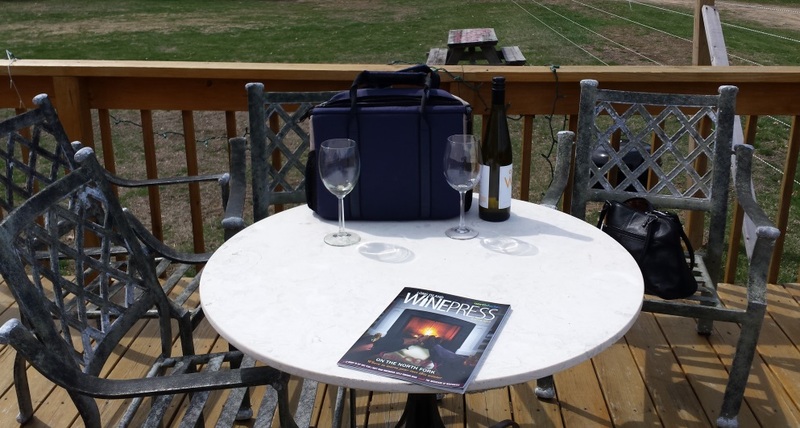 After a fast stop at Meetinghouse Deli in Aquebogue, we headed directly for One Woman Winery further east in Southold. We have picnicked here before and told you about it. One of the wines they do just right is the Gewurztraminer. A cold bottle of the 2011 Gewurz in hand, we headed for the deck, and a relaxing afternoon lunch. Fellow picnickers at a nearby table shared the spirit of the beautiful day. Their adorable Maltese caught my attention, and I briefly considered a dog-napping. Reason prevailed, and I returned to the more immediate pleasures of food and drink. Last year, we enjoyed many visits to Greenport. You can read about some of them here, here, and here. 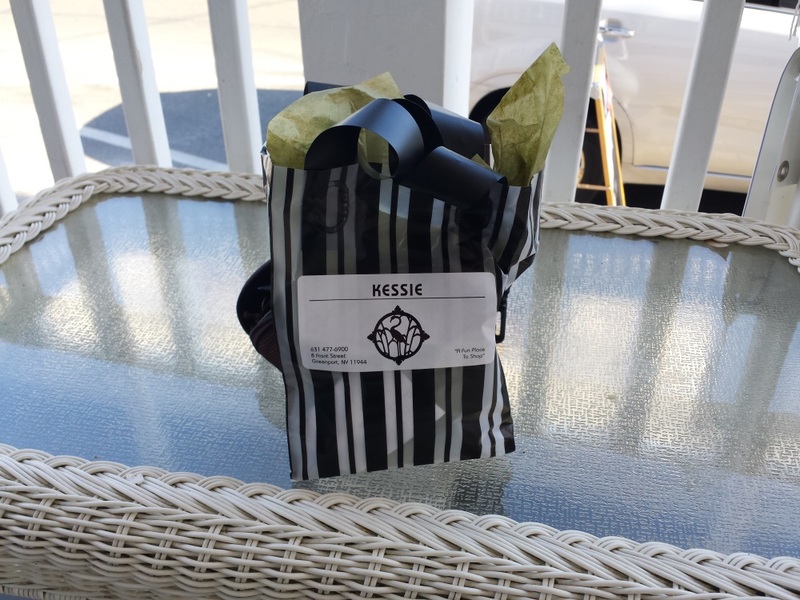 Marian likes shopping at Kessie, where she finds great gifts for friends and family. This time it was Marian who received the gifts… two pair of earrings. An unexpected present puts a smile of the face of the giver and the receiver. You can be generous, without being lavish. Indeed it is the thought that counts. Walking around Main St. we were in and out of shops where everyone was in a great mood. There is nothing like sunny, warm weather after a long, cold winter. It’s right there on Main St. with great pastry and coffee. We needed a pick-me-up delivered in the form of coffee and an almond horn. Blue Duck, which we first visited in Southampton, and again in Southold, seems to be everywhere we go. Good for the palate, but perhaps less so for the waistline. No worries. Time to head back, where a steak was waiting to be grilled and some baby artichokes needed some serious frying. You are right, this whole day was about relaxing, and enjoying Springtime. In a week or two I’ll have the convertible ready for the road, and we will be working on our tans. Don’t deny yourself. Get out there and enjoy your trip around town.